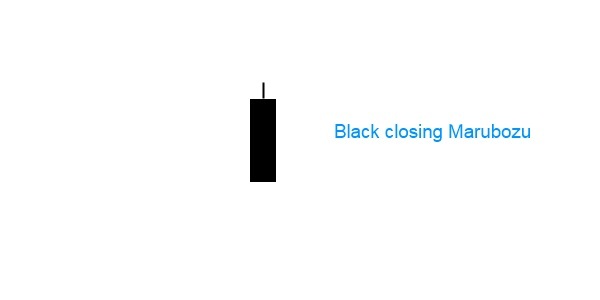 Black closing marubozu is a single candle pattern. It has a long black body and an upper shadow. There is no lower shadow, showing that the closing price and the lowest price are at the same level. The pattern shows that sellers controlled the trading day from open to close, and is therefore a bearish pattern. Does it change the trend? Depending on the position where it forms, it can be either a reversal or a continuation signal. When a black closing marubozu occurs in a downtrend, together with other black candles, it confirms the power of the trend. When it forms in an uptrend, it may be a trend reversal signal. In conclusion, it must be considered with other candles to better judge the trend direction. Just like any other single candlestick patterns, it has a low reliability in itself.